It's only 679 characters. We strongly recommend writing at least 1.000 characters. Use content that makes your app unique (features description, characteristics, how to use your app, ...). Your description needs to convince people to download your app. Also, be sure to add important and relevant keywords in your description to improve your iTunes app page and optimize your SEO. 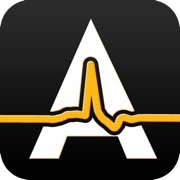 This app is a valuable resource for information regarding Atrial Fibrillation (AF or Afib). Atrial fibrillation is the most common sustained heart rhythm disorder and increases the risk for heart disease and stroke, both leading causes of death in the United States. An estimated 3 million adults in the United States have been diagnosed with atrial fibrillation. The AfibAlert App is also a companion application for the AfibAlert Atrial Fibrillation Monitor, providing a useful tool for viewing the ECG rhythm strips that you can record when you purchase the AfibAlert device. Download the app to learn more about AF and determine if the AfibAlert is right for you.